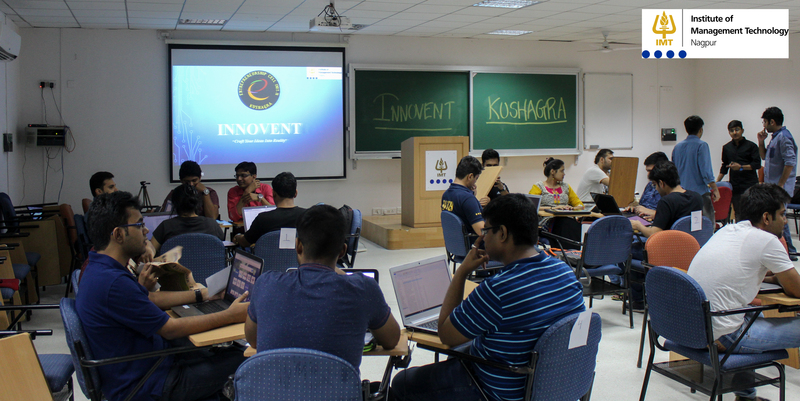 Innovent is a platform that encourages and supports startup aspirants, provided by Kushagra- The Entrepreneurship cell of IMT Nagpur. The Entrepreneurship cell (E-Cell) of Institute of Management Technology (IMT), Nagpur - Kushagra conducted ‘Innovent’, a start-up competition on September 7, 2017. The event was inaugurated with a motivational video on entrepreneurship followed by the introduction of the junior E-cell team. The participating teams consisted of seniors and juniors who were judged by Dr Rajiv Joshi. A deadline of thirty minutes was given to the teams to formulate their business ideas. The teams were then provided with a five minutes window during which they were to present their idea in front of the audience. The student managers displayed their ingenuity and creativity in formulating their business plans on domains ranging from branding and advertising to e-commerce and handicraft. Some of the ideas presented were ‘Cupified’- a branding business plan related to logos on paper cups used for brand awareness, advertisement gimmicks, and designs. Also, an idea for the promotion of Indian handicrafts named as ‘Hasthkala’, presented an idea for an E-commerce website for the traditional handicraft business to showcase and increase the awareness about Indian culture. The start-up provided a platform for the traditional artists to display their talent. The teams also presented ideas from the industry which lack popularity in India such as video gaming. The business plan aimed at promoting video games and cyber gaming as a full-time profession by providing them with a gaming platform aided by sponsors for gaming tournaments organized annually. The ideas once presented were then judged on multiple criteria like, the speed of implementation of the idea, efficiency of cash flow, market readiness and the problems that the idea was able to overcome. The event allowed student managers to showcase their innovation and offbeat thinking which was appreciated by the faculty and they responded with advice and guidance for the teams.